Masterkleer, a name that is well-established in the water cooling sector! Highly flexible, intense colours, a true eye-catcher for your system: This is what Masterkleer brand-name tubing stands for. Made from highly flexible PVC this tubing can be used in all areas of you water cooling system. It can be used to bridge larger distances to external coolers, in a micro-enclosure with very little space or even in a server for 24/7 operation: This tubing can be used for virtually any application one could imagine. 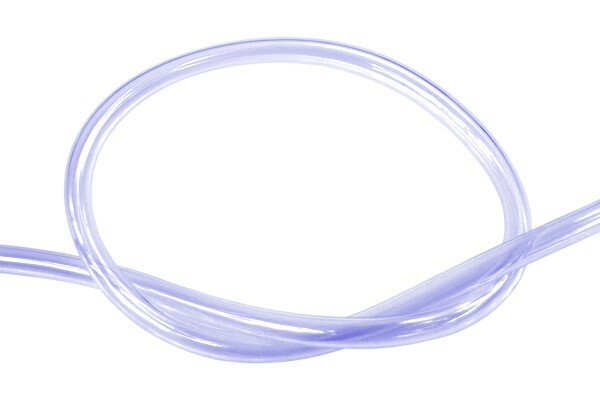 The experience in the “computer water cooling” sector gained by Masterkleer’s manufacturers over the years allows this tubing to be of unique quality. Most even thicknesses for maximum reliability, exceptional bending capabilities, a long lifespan, no discoloration of the coolant and unique colour brilliance make this tubing so special! When a water cooling loop is installed in a computer system it should not only function well, but also look good. This is where the colour comes into play. Masterkleer has not only achieved intense colours, the UV-reactivity is also a great effect for your system! The tubing is available in many different colours: From dark to bright green, red, orange, pink, purple, even transparent UV blue, standard blue, yellow, silver, black or white: These are only some of the available colours from Masterkleer! Masterkleer has taken a whole new approach! The classical 1m unit has been improved, the tubing is available e.g. in 3m length for tubing of the whole watercooling loop and up to 15m in length in one piece with individual packaging for large projects or resellers. The advantages are obvious: The product is more affordable for the customer and the tubing is always shipped in one piece and is easy to store neatly until the next project awaits!